The Palm Line ship AKASSA PALM about 1962. She was built in 1958 at 8,154 grt. 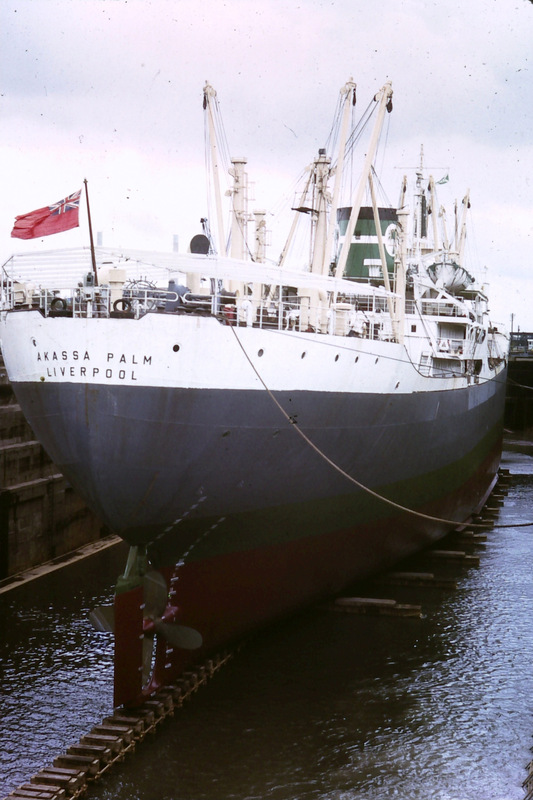 She left Palm Line 1972 and had 3 new names before being scraped in 1984.